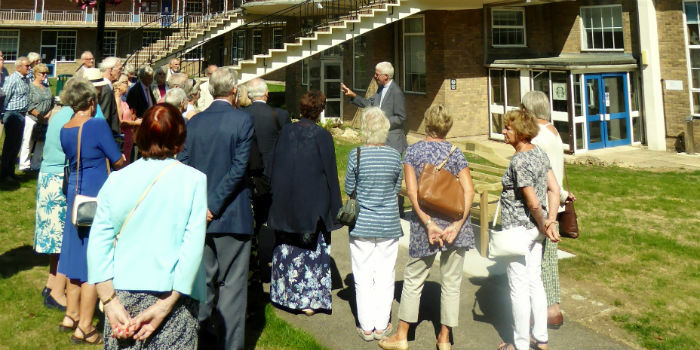 Ninety Old Ws, alumni of the former Westminster College, met at Harcourt Hill and enjoyed their annual Reunion over the first weekend of September. Memories were shared and college friendships renewed. Peter Wilbourn, President in 1968, addressed the gathering before the Reunion cake was cut. 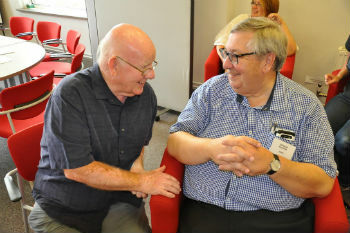 The catering staff produced a very tasty supper and The Tarriers (some of the original members still play) then entertained in the Glasgow Room. On Sunday morning the AGM of the Westminster Society was held and Old Ws then moved to the college Chapel, for so many the symbol of college life. 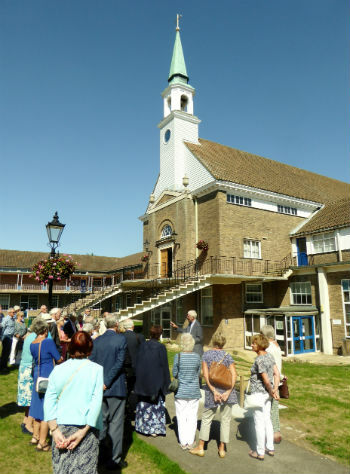 The reunion service was conducted by Rev Robert Bates, Chaplain at Harcourt Hill with the sermon given by Don Rolls ‘68. Following the service a memorial bench, sited in the main quad close to the Chapel, was dedicated to the life of Norman Black '54, an Old W who both joined the college tutorial staff and gave such strong support to the Westminster Society.